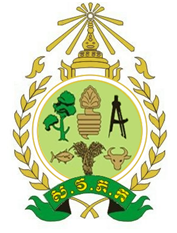 Royal University of Agriculture (RUA) was founded in 1964 as a leading University in Cambodia. RUA provides high quality education and conduct research for the deployment of sustainable energy. The university initiated the Centre for Agricultural and Environmental Studies, and is implementing several projects on capacity building for farmers, researchers and policy makers on topics related to energy and climate change. Prof.Dr.Sok Kunthy is the principal investigator (RUA, Cambodia) of Effective energy efficiency policy implementation targeting “New Modern Energy Consumer” in the Greater Mekong Subregion, or MECON project. He graduated PhD in Agricultural Engineering from Central Luzon State University (CLSU), Philippines in 1999; M. Eng. (Master of Engineering) from Asian Institute of Technology (AIT), Thailand in 1996; and B. Eng. (Engineer of Agriculture) from ChamcarDaung Agricultural Institute (CDAI), Cambodia in 1989. He has 23 years of experience at RUA and his main interests in renewable energy, especially Bio-Energy, Solar Energy, Wind Energy, small scale hydropower, as well Climate Change Mitigation and Adaptation, and design manufacturing & testing of Equipment. 21-23 November 2012 – Energy Science in the Age of Global Warming and International Conference on Sustainable Future energy 2012, Organizing by KYOTO University, Kyoto, Japan and University of Brunei Darussalam, Brunei. 25-27 May 2008 – New Energy forum for Sustainable Environment (NEFSE) Organizing by KYOTO University in Kyoto, Japan. 21-23 November 2007 – Sustainable Energy and Environment Organizing by KYOTO-KMUTT University in Pattaya, Thailand. 11-13 March 2007 – Sustainable Energy and Environment “Challenges for Sustainable Energy System” Organizing by KYOTO University in Kyoto, Japan. 23-25 November 2006 – Towards Harmonious Coexistence within Human and Ecological Community on this Planet Organizing by KYOTO University in Bangkok, Thailand. 21-23 November 2006 – Sustainable Energy and Environment (SEE 2006) Organizing by KYOTO KMUTT University in Bangkok, Thailand. Mr.San Vibol is a Lead Researcher of Effective of Effective energy efficiency policy implementation targeting “New Modern Energy Consumer” in the Greater Mekong Subregion, or MECON project. He has finished his bachelor degree in field of Agricultural Technology and Management (2003) and master degree in Environmental Technology from the Joint Graduate School of Energy and Environment (JGSEE), King Mongkut’s University of Technology, Thonburi, Bangkok, Thailand. His research interests are energy economics, Renewable energy, energy efficiency, environmental economics, rural electrification, and greenhouse gas mitigation. Mr.Von Monin is Researcher of Effective energy efficiency policy implementation targeting “New Modern Energy Consumer” in the Greater Mekong Subregion, or MECON project. He graduated Master Degree in Renewable Natural Resources Management of Royal University of Agriculture, Phnom Penh, Cambodia (2004), Bachelor Degree in Forestry with Russian teacher of Chamcardaung Technical Agriculture Institute (1992). Currently, he is also a PhD’s candidate of CUP, Phnom Penh, Cambodia. His main interests are in natural resources management and development, renewable energy development and policy, Farm Forestry, Wood energy and Community Forestry Development. Be practically and Joint research on Estimating the Aboveground Biomass of the Secondary forest and happy in managing and preparation training workshop on “Sustainable Wood Energy Development”. Diploma Degree in Assistance engineer and workshop instruction of production from Kiev Industry pedagogy Institute (KIPI), Kiev, Ukraine, (Former Soviet Union) in June, 1992. Certification Degree in Adjust and Repaired materials industry from Vocational Training Cambodia-Russia Friendship Center, (VTCRFC), Phnom Penh, Cambodia in June, 1985. His main interests are in rural development and socio-ecological assessments, cost-benefit analysis, agricultural and environmental economics, renewable energy and energy efficiency, agricultural mechanization development and food engineering. Be practitioner in projects management, project design and research project. My master thesis focuses on assessment of the potentiality of establishing small and medium scale agro-industries in Kampong Cham province, Cambodia. Mr.Tharith Sriv is a Researcher of Effective Energy Efficiency Policy Implementation Targeting “New Modern Energy Consumer” in the Greater Mekong Sub-region, or MECON partnership project. After finishing his graduate study in Electrical and Information Engineering, Faculty of Engineering, King Mongkut’s University of Technology Thonburi, Bangkok, Thailand, in 2005 he was involved in some projects in renewable energy. His current research interests about renewable energy include energy efficiency, rural electrification using renewable energy, and waste-to-energy conversion technology.